3501901 AR2000 AR2000 Roller. Spare Parts Catalog. Service (workshop) Manual. Operator's Instruction Manual. 3501902 CC135 HITACHI CC135 Roller. Spare Parts Catalog. Service (workshop) Manual. Operator's Instruction Manual. 3501903 CC135-3 HITACHI CC135-3 Roller. Spare Parts Catalog. Service (workshop) Manual. Operator's Instruction Manual. 3501904 CC150 HITACHI CC150 Roller. Spare Parts Catalog. Service (workshop) Manual. Operator's Instruction Manual. 3501905 CC150-3 HITACHI CC150-3 Roller. Spare Parts Catalog. Service (workshop) Manual. Operator's Instruction Manual. 3501906 CP205 HITACHI CP205 Roller. Spare Parts Catalog. Service (workshop) Manual. Operator's Instruction Manual. 3501907 CP210 HITACHI CP210 Roller. Spare Parts Catalog. Service (workshop) Manual. Operator's Instruction Manual. 3501908 CP215 HITACHI CP215 Roller. Spare Parts Catalog. Service (workshop) Manual. Operator's Instruction Manual. 3501909 CP220-3 HITACHI CP220-3 Roller. Spare Parts Catalog. Service (workshop) Manual. Operator's Instruction Manual. 3501910 CS125 HITACHI CS125 Roller. Spare Parts Catalog. Service (workshop) Manual. Operator's Instruction Manual. 3501911 CS125-3 HITACHI CS125-3 Roller. Spare Parts Catalog. Service (workshop) Manual. Operator's Instruction Manual. 3501912 RT205 HITACHI RT205 Roller. Spare Parts Catalog. Service (workshop) Manual. Operator's Instruction Manual. 3501913 TSR65KDS HITACHI TSR65KDS Roller. Spare Parts Catalog. Service (workshop) Manual. Operator's Instruction Manual. 3501914 ZC35C HITACHI ZC35C Roller. Spare Parts Catalog. Service (workshop) Manual. Operator's Instruction Manual. 3501915 ZC50C HITACHI ZC50C Roller. Spare Parts Catalog. Service (workshop) Manual. Operator's Instruction Manual. 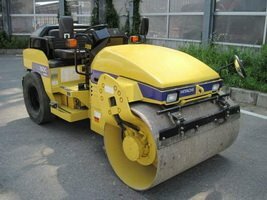 3501916 ZV550W HITACHI ZV550W Roller. Spare Parts Catalog. Service (workshop) Manual. Operator's Instruction Manual. 3501917 ZV650W HITACHI ZV650W Roller. Spare Parts Catalog. Service (workshop) Manual. Operator's Instruction Manual. 3502001 HX64B HITACHI HX64B Crawler Mounted Aerial Platform. Spare Parts Catalog. Service (workshop) Manual. Operator's Instruction Manual. 3502002 HX64B-2 HITACHI HX64B-2 Crawler Mounted Aerial Platform. Spare Parts Catalog. Service (workshop) Manual. Operator's Instruction Manual. 3502003 HX99B HITACHI HX99B Crawler Mounted Aerial Platform. Spare Parts Catalog. Service (workshop) Manual. Operator's Instruction Manual. 3502004 HX99B-2 HITACHI HX99B-2 Crawler Mounted Aerial Platform. Spare Parts Catalog. Service (workshop) Manual. Operator's Instruction Manual. 3502005 HX99B-EX HITACHI HX99B-EX Crawler Mounted Aerial Platform. Spare Parts Catalog. Service (workshop) Manual. Operator's Instruction Manual. 3502006 HX120B HITACHI HX120B Crawler Mounted Aerial Platform. Spare Parts Catalog. Service (workshop) Manual. Operator's Instruction Manual. 3502007 HX120B-2 HITACHI HX120B-2 Crawler Mounted Aerial Platform. Spare Parts Catalog. Service (workshop) Manual. Operator's Instruction Manual. 3502008 HX140B HITACHI HX140B Crawler Mounted Aerial Platform. Spare Parts Catalog. Service (workshop) Manual. Operator's Instruction Manual. 3502009 HX140B-2 HITACHI HX140B-2 Crawler Mounted Aerial Platform. Spare Parts Catalog. Service (workshop) Manual. Operator's Instruction Manual. 3502010 HX180B HITACHI HX180B Crawler Mounted Aerial Platform. Spare Parts Catalog. Service (workshop) Manual. Operator's Instruction Manual. 3502011 HX180B-2 HITACHI HX180B-2 Crawler Mounted Aerial Platform. Spare Parts Catalog. Service (workshop) Manual. Operator's Instruction Manual. 3502012 HX220B HITACHI HX220B Crawler Mounted Aerial Platform. Spare Parts Catalog. Service (workshop) Manual. Operator's Instruction Manual. 3502013 HX220B-2 HITACHI HX220B-2 Crawler Mounted Aerial Platform. Spare Parts Catalog. Service (workshop) Manual. Operator's Instruction Manual. 3502014 HX220B-EX HITACHI HX220B-EX Crawler Mounted Aerial Platform. Spare Parts Catalog. Service (workshop) Manual. Operator's Instruction Manual.